While a painting can occupy Close for many months, it is not unusual for one print to take upward of two years to complete. Close has complete respect for, and trust in, the technical processes - and the collaboration with master printers - essential to the creation of his prints. The creative process is as important to Close as the finished product. "Process" and "collaboration" are two words that are essential to any conversation about Close's prints. 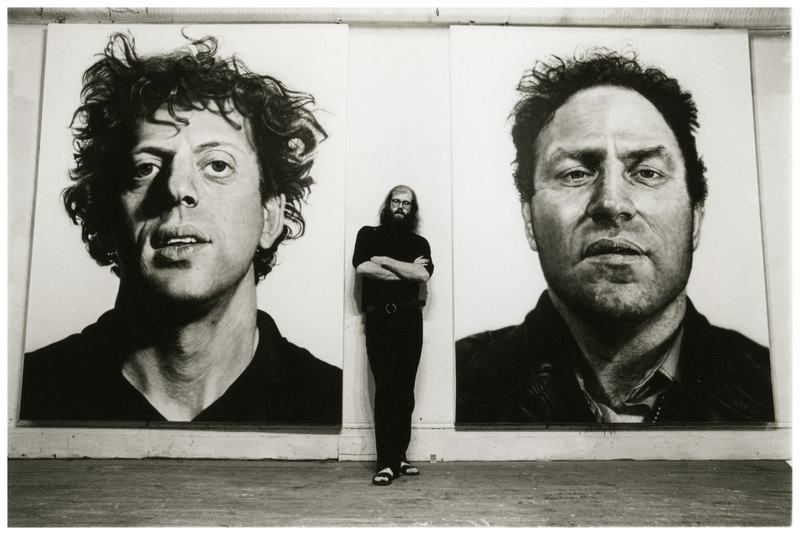 Chuck Close is famed for his large scale, photo-based portraits. Born in 1940 in Monroe, Washington, and living and working in New York since 1967, his highly inventive techniques used to portray the human face have been the subject of more than 200 solo exhibitions in more than 20 countries. 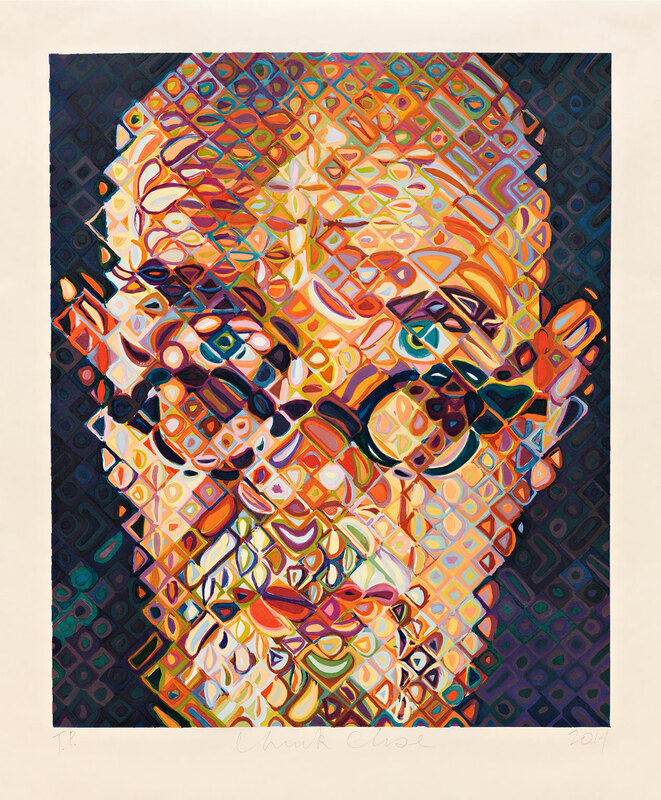 The extraordinary career of Chuck Close is based on his reputation as a painter; Close is also a print artist, who has, over the course of more than 40 years, pushed the boundaries of traditional printmaking in remarkable ways. Printmaking to Close is not a separate stream of activity but rather the problems learnt in the printing studio can be applied to paintings. Close has said ‘unique work inspires multiples and prints, and then out of multiples and prints comes more unique work.’ Alongside many of his peers such as Jasper Johns and Roy Lichtenstein (both of whom he has depicted) Close has redefined the print form. Part of the exhibition’s aim is to reveal the ‘magic’ of the processes with which he works. It includes not just finished works but trial and colour proofs, tests and source materials. Brought together they reveal the complexity behind the work. Rather than diminishing their mystery as artworks they make you more in awe of the conscientious, seemingly never ending drive of the artist. 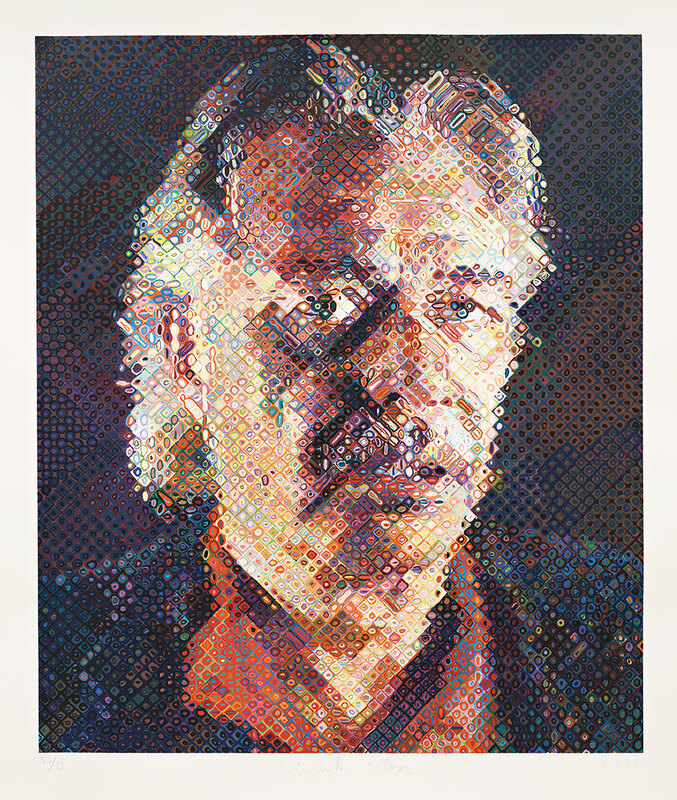 Bringing together over 200 works Chuck Close: Print, Process and Collaboration is the first large-scale overview of the artist's work in Australia. 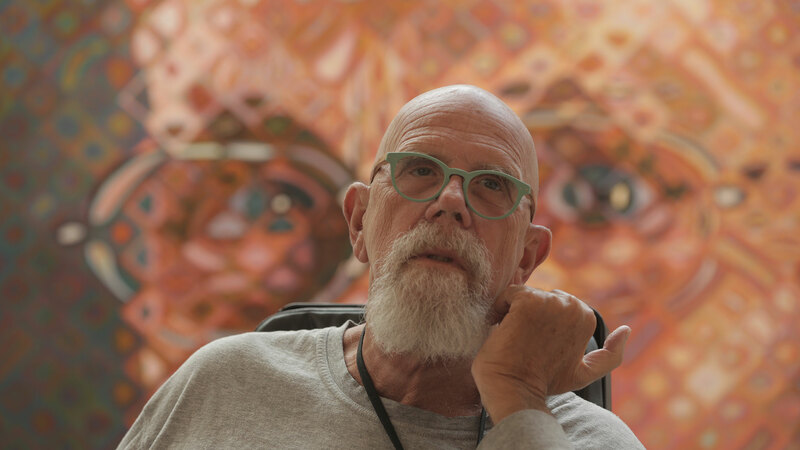 Chuck Close is one of the most important figures in the realms of painting and printmaking over the past 40 years and both the general public and a more specialised art audience admire his practice equally. Terrie Sultan, curator of the exhibition and Director of the Parrish Museum, Water Mill, New York, has worked in close collaboration with the artist to bring together all of the highpoints of Close’s works with printmaking since 1972. In addition, Close has just completed a masterful new 84-colour woodcut Self-Portrait (2014) in time to be included in the exhibition. 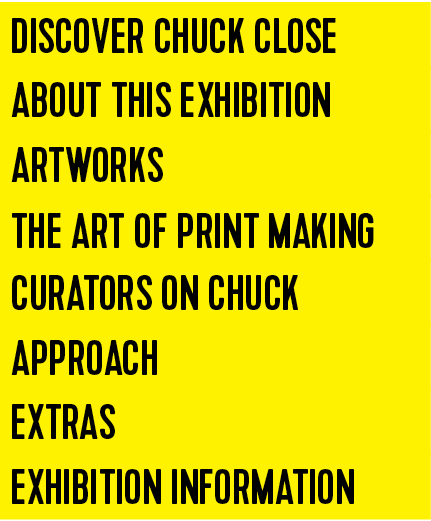 The exhibition also coincides with a reprinting and updating of the book Chuck Close Prints: Process and Collaboration which provides a rich source of information on Chuck’s prints and the nature of the work he has undertaken in conjunction with some of the worlds leading print studios. store.mca.com.au Close’s work as a printmaker began in 1972 when he was approached by Parasol Press to collaborate with Kathan Brown at Crown Point Press. The result was the large-scale mezzotint Keith (1972). Beginning with this print Close began to expand the potential of printmaking, pushing his collaborators beyond what they thought possible due to his innovative visual thinking and constant searching for new modes and methods of image making. Keith is a mezzotint; a process that until then, and even still to some degree, was thought of a diminutive and intimate mode of printmaking. 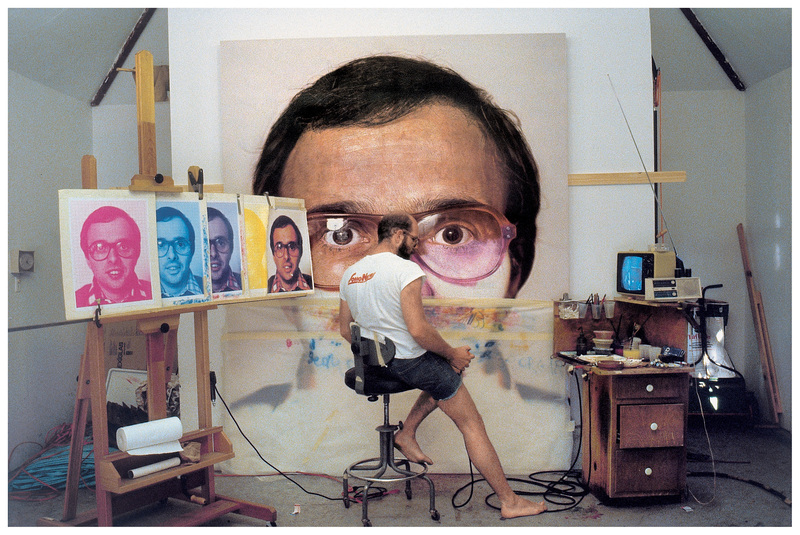 Chuck Close and painter Mark Greenwold have been friends since 1969. In that time Greenwold has been the subject of several of Close’s works. Though this work was made in 2011, the image is based on a photograph of Greenwold probably taken in the late 1970s. By working from photographs, Close is able to return to images years or decades after they were taken, which can lead to an apparent distortion of time in his back-catalogue of work. Here Close, along with printers Robert Blanton of Brand X Editions and Jonathan Wise of Mid-Mark Studio, developed a new printing technique by gluing small circles of felt onto the end of wooden pegs. This process appears to amplify the grid structure, lending a pixilated aesthetic. Kara Walker is an artist based in New York whose practice has been defined by her exploration of contemporary issues of race as the legacy of America’s history of slavery, specifically in the period leading up to the American Civil War. Walker incorporates visual language from the 18th century, making paper cut-outs of silhouettes and has extended this practice to include animation, light projections and light installations that overtake entire rooms. Walker uses these techniques to present fables or stories from romantic and historical novels, though these are playfully subverted through the presentation of acts of violence in a questioning of historical narratives. 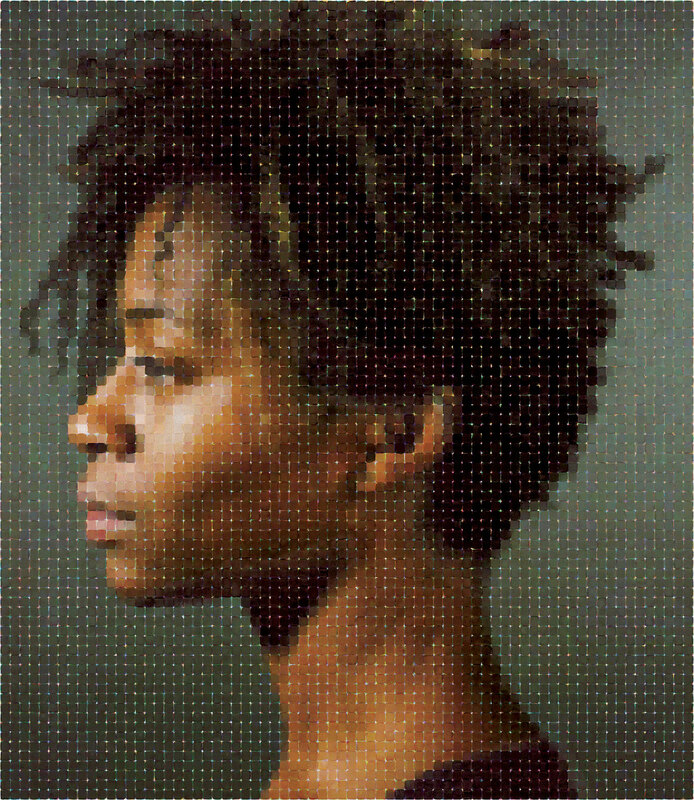 In this work Close’s use of the grid in order to map out his images is evident, lending an almost pixelated look to the work. 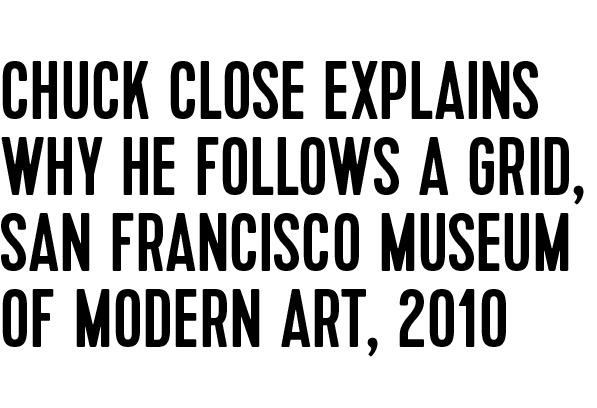 Chuck Close often uses artists whose work has had an impact on him as the subjects of his work. 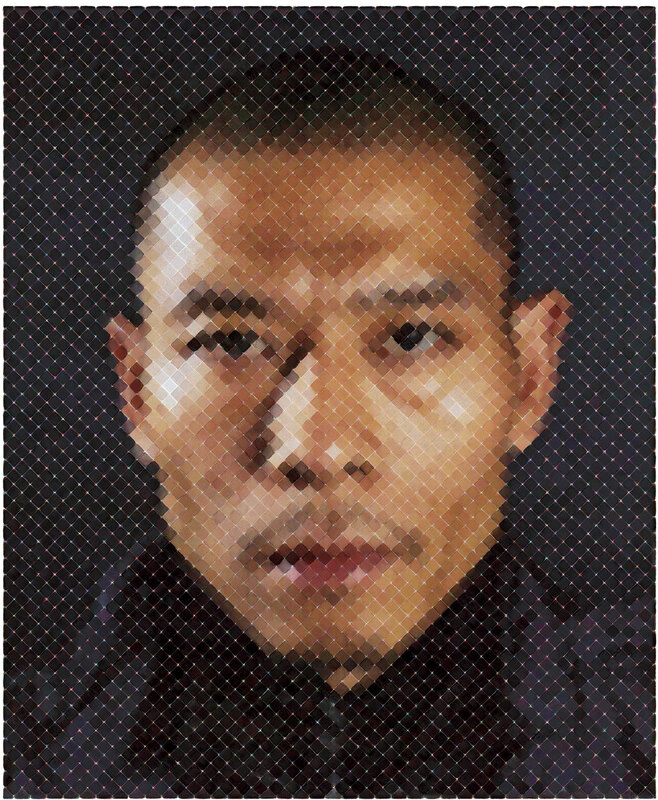 Zhang Huan is a New York based performance artist whose practice is distinctively different from that of Close, encompassing video, sculpture, painting and drawing, with a particular focus on public art and performance. Originally from China, Huan’s work often takes the form of collective actions and acts as a critique of the policies of the Chinese government. In 2004 Huan performed the work My Sydney on the front lawn of the MCA as part of the exhibition Witness. 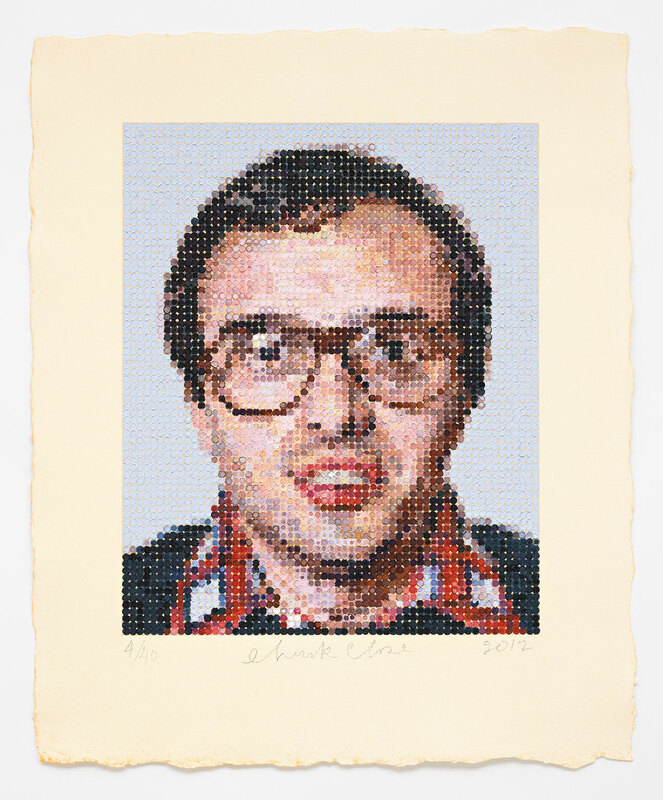 For more than 40 years printmaking has formed the bedrock of Chuck Close's practice. This exhibition provides a comprehensive survey of the full extent of Close’s long involvement with the varied forms and processes of this medium. Featuring works ranging from the mezzotint Keith/Mezzotint (1972) to later large works such as Alex/Reduction Block (1993), through to a new series of Jacquard tapestries, Chuck Close: Prints, Process and Collaboration reveals the artist’s range of invention across a breadth of techniques including etching, aquatint, lithography, handmade paper, direct gravure, silkscreen, traditional Japanese woodcut and reduction linoleum block prints. 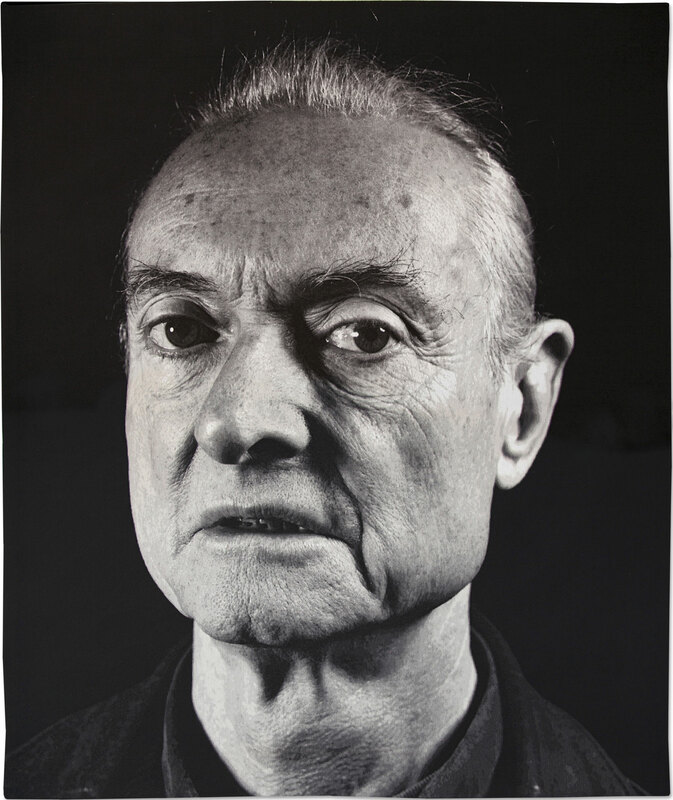 The subjects of Close’s portraiture are drawn from his friends, family and peers. He has also produced a number of self-portraits. 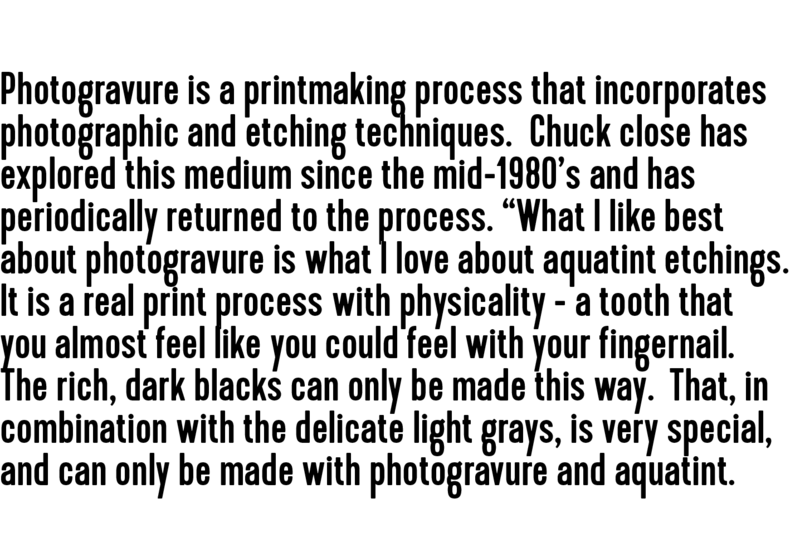 The format of these images is quite removed from traditional portraiture, with a distinct absence of context or symbols to be decoded. The focus is instead upon the formal qualities of the image, and the ways in which faces, or ‘heads’ as Close refers to them, become topographies. When presented en masse as they are in this exhibition, the subtleties of the techniques used to produce these images comes to the fore. 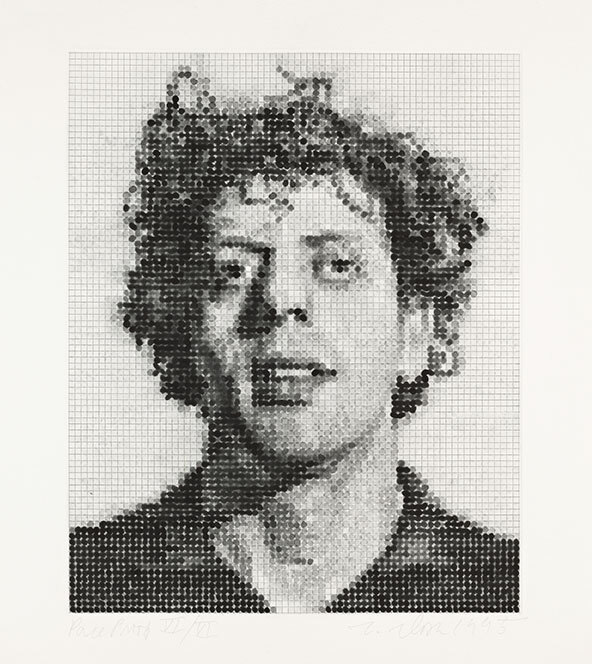 Composer Philip Glass and Chuck Close have been friends since the mid-sixties. Of this time Close has said: All of us who were trying to figure out how to make art in the late sixties wanted to make works that didn't look like anybody else's. There was a tremendous desire to find some way of working that would push us someplace else. We were all nurtured in the same primordial ooze, and then we crawled ashore and all went in our separate directions. http://www.metopera.org/metopera/news/interviews/detail.aspx?id=3459 This work was made almost 20 years after the photograph was taken; it is an image that has been remade several times over by Close, always through different techniques. 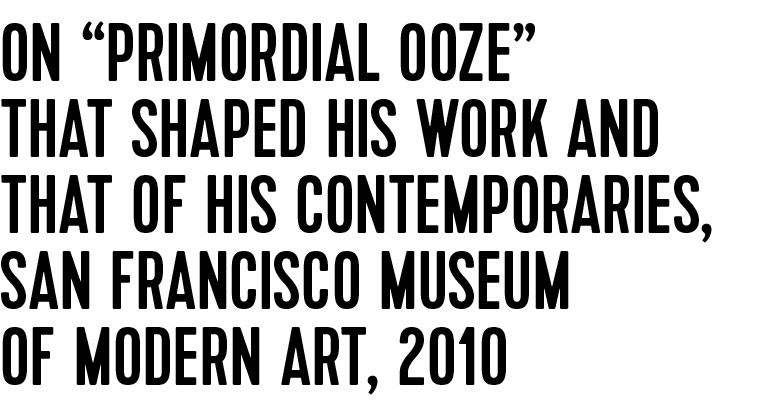 Self-Portrait (2014) is the most recent work and was completed in time for this exhibition at the MCA. Close continues to make self-portraits as his own image is readily available when he wants to experiment with new techniques. This subject matter remains constant throughout his practice, while the materials continually change. A woodcut print is created by carving out sections of a woodblock, which is then rolled in ink, and paper is laid and pressed onto the woodblock. The artist Roy Lichtenstein and Chuck Close were long-standing friends. While their work is distinctively different – Lichtenstein’s with a definite Pop sensibility and Close’s with a photo-realist focus – the two painters have maintained a commitment to producing figurative work, even when most of their peers were focused on abstraction. This work shows the importance of photography in Close’s practice. All of his paintings and prints are made by first photographing his subject, providing him with source images to return to again and again. This enables Close to have greater control over his final works, especially as they can take up to two years to produce. 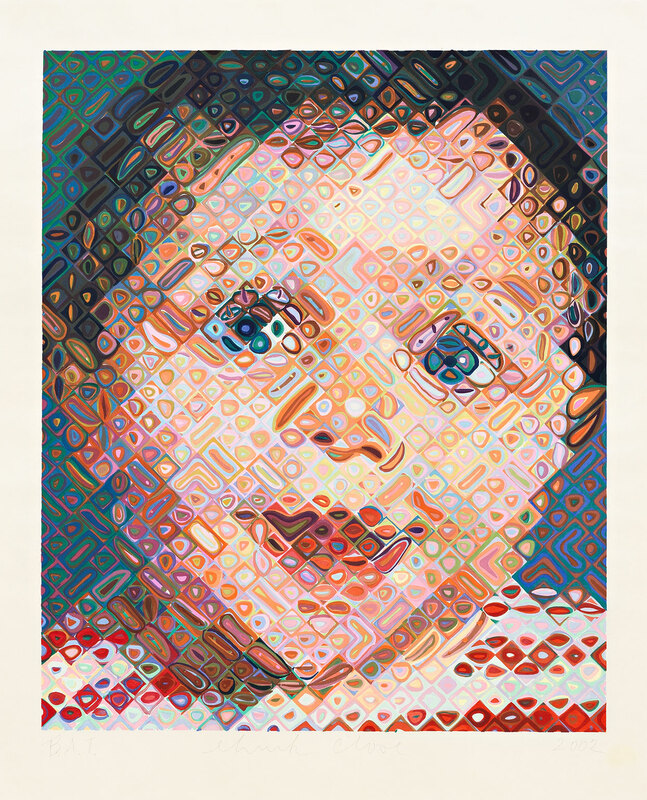 This oil painting of Chuck Close’s niece – Emma (2000) – is shown alongside a woodcut print of the same image produced two years later and a selection of the wood block the printer created to make the print. 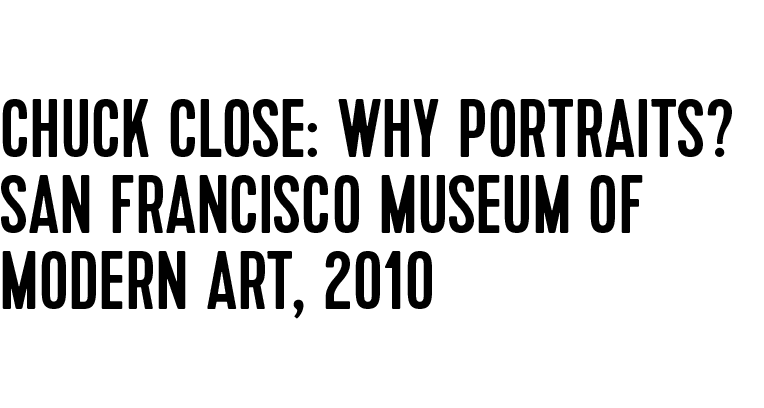 Close often works this way – a painting results in a print series, and vice-versa; Close’s paintings can take up to three months to produce, and prints can take up to two years. The large painting Bob (1970) is part of a suite of 8 black and white portraits that Close painted between 1967 and 1970. 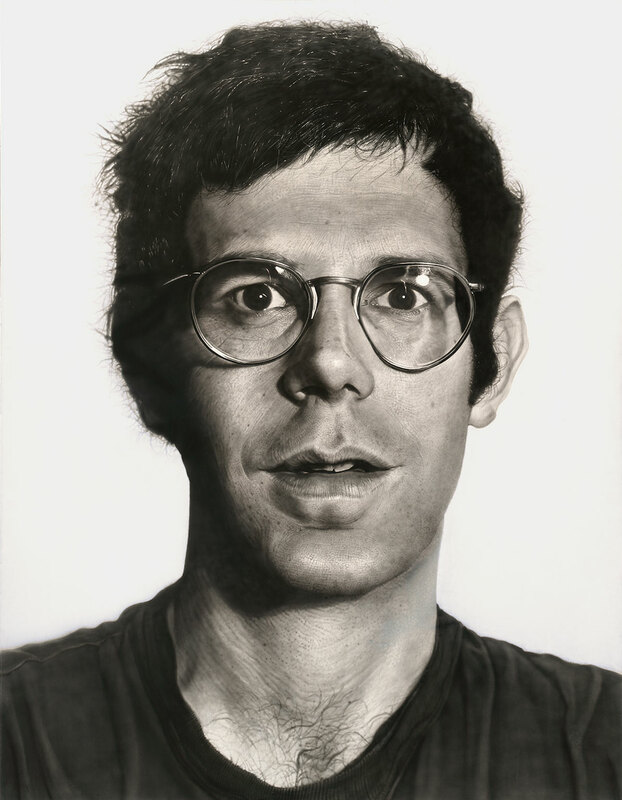 These works are considered to be Close's breakthrough into portraiture, beginning with a self-portrait and finishing with the painting Keith (1970). Bob is an important work in Close's career and its inclusion in the exhibition provides an important context within which subsequent works can be viewed. These early works were made using a gridded black and white photo as the base image. They were then painted in black and white on a white ground using an airbrush. Close used razor blades or an electric razor to cut back the black to build up white highlights. The work has an alarming, photorealist clarity, and viewers are often shocked to find it is a painting rather than a large photograph. This is the visual conundrum of the work – it’s a painting of a photo as much as it is a painting of an individual. At the time it was made the art movement Photorealism was being developed and increasingly feature in exhibitions across Europe, America and Australia, but Close's work is related more to the concurrent movements of Minimalism and Conceptualism. The painting follows a strict schematic based on the grid, a structure so pervasive in minimal and conceptual art, and applying it in a strictly deadpan way to the face. The sitter is Close’s friend Robert Israel, a New York based designer. Close also made a video portrait of Israel Slow Pan/Bob (1970) which is the only film work that Close has completed. 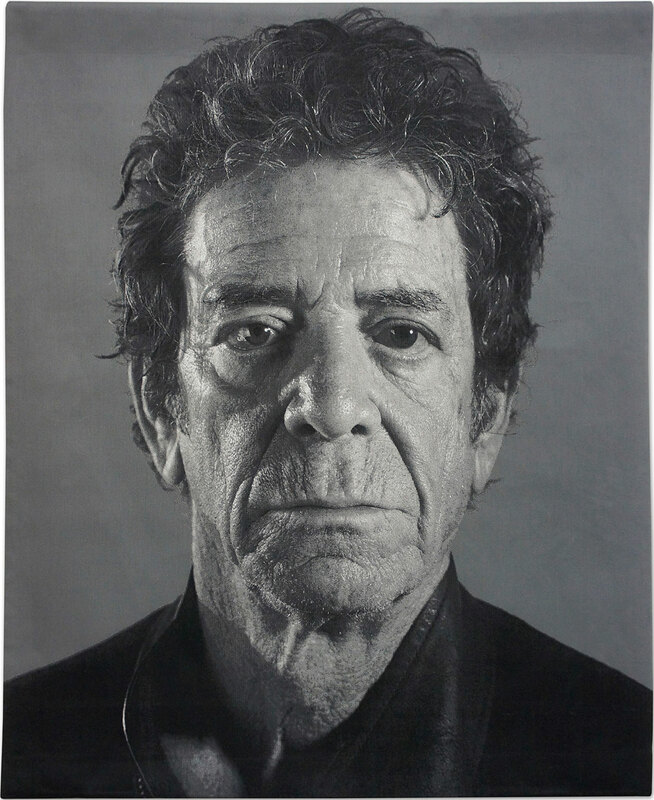 Chuck Close has made several portraits of the artist Laurie Anderson, as well as her late husband Lou Reed. Drawing on his close circle of friends and peers, Close has documented creative thinkers, musicians and artists since the late 1960s. Jacquard tapestries date back to the nineteenth century. This work demonstrates new innovations in the technique that incorporated computer software to expand the number of colours that can be used. Donald Farnswoth of Magnolia Editions used a colour spectrophotometer, Photoshop, an Excel Spreadsheet and HexEdit, which provided greater control over the work. Produced in collaboration with Farnsworth, this recent series of tapestries push the limits of textiles in order to produce images of fine resolution. Two Palms demonstration of the photogravure process for Chuck Close, Obama. Photogravure, which is identical to aquatint print-making, is an intaglio printmaking or photo-mechanical process whereby a copper plate is coated with a light-sensitive gelatin tissue which had been exposed to a film positive, and then etched, resulting in a high quality intaglio print that can reproduce the detail and continuous tones of a photograph. Pace Prints master papermaker Ruth Lingen works with artists to create unique and editioned work in the hand papermaking process. In preparation to creating an image as you will see here, rags are put into a 'beater' to be ground into 'pulp', which is then formed on a 'mould' and 'couched ' onto a table. A hand-cut stencil is laid down onto the sheet, and filled with fine pigmented black pulp. The stencil is peeled back, and the process repeated with six shades of grey, and finally white. It is then put into a press to squeeze the water out and dried. Ruth Lingen demonstrates the process for Chuck Close's Lucas handmade paper piece. Chuck Close: Prints, Process and Collaboration exhibition curator Terrie Sultan has worked alongside Close in making a selection of works that illuminates his commitment to artistic process and to his close partnerships with print studios including Magnolia Editions, Crown Point Press, Pace Prints and Two Palms. Collaboration is crucial to the print process, with Close and printmakers working for up to two years on the completion of a print. Through this collaborative process the practices of these printmakers are extended by Close's vision whilst Close is in turn guided by the expertise of his colleagues. Here are demonstrations from master printmakers at Pace Prints and Two Palms in New York. In the first video, Ruth Lingen from Pace Prints demonstrates the pulp paper making process for Chuck Close's Lucas. In the second video, David Lasry and Craig Zammiello from Two Palms demonstrate the intaglio 'photogravure' process used for Chuck Close's work Obama that was made for sale by Turnaround Arts charity in 2013. 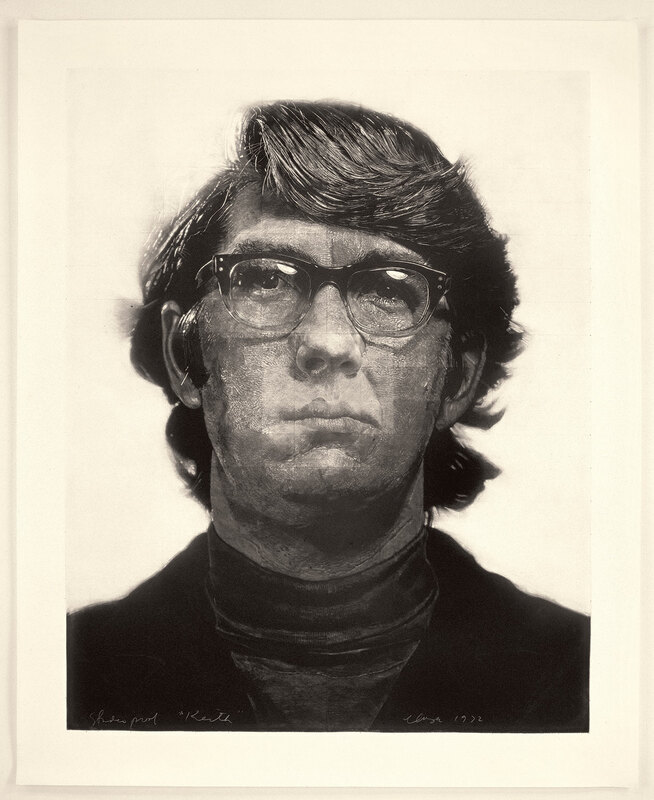 Keith/Mezzotint is the first print Chuck Close made after graduating with his MFA from Yale, and because he decided to leave his grid guide visible in the work, it ranks among the most important and innovative prints to date. Bob 1970 is one of a series of eight large black and white portraits that Close painted between November 1967 and April 1970. He began work on Bob in the last months of 1969 and finished at the beginning of 1970. Bob immediately preceded Keith 1970, the last of the black and white series. Close then began using colour in his paintings. 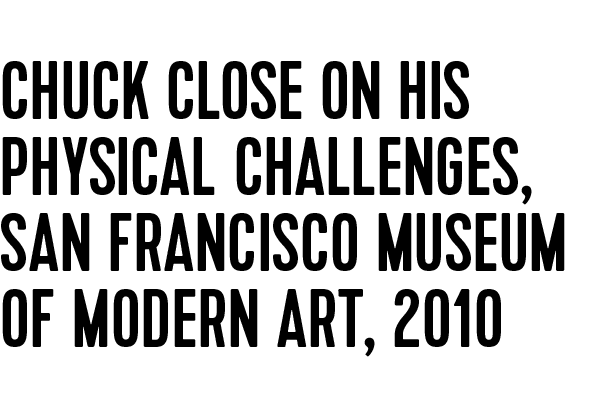 A selection of interviews with Chuck Close and archival images that span Chuck Close's extraordinary career.